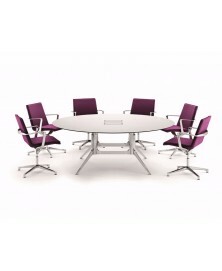 NoTable Meeting Table ICF available in 6 different sizes. Discover our best price. 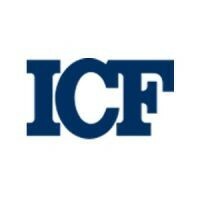 NoTable ICF is a modern and quality collection of office desks and meeting tables characterized by a light and elegant design. This desk and table system can assume a myriad of configurations and can satisfy all user's needs. 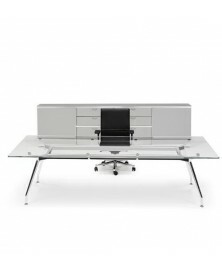 Every detail of NoTable Desk ICF speaks of hidden sophistication behind apparent simplicity. 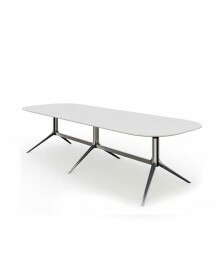 Die-cast aluminium legs stem dynamically from the floor to give the table its remarkable lightness. 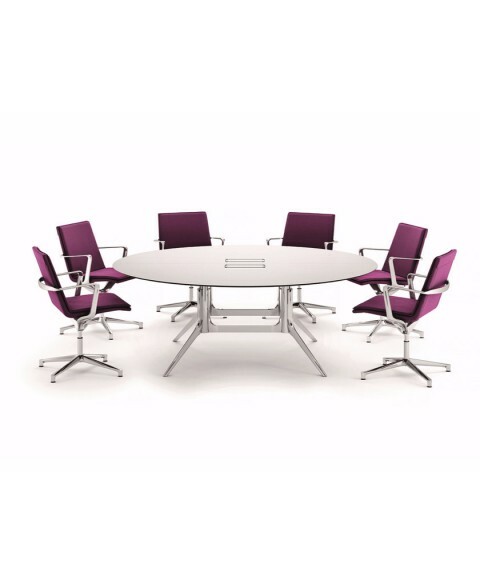 The legs are attached to a tubular vertical frame with an adjustable inclination that showcases the discrete yet high level engineering of NoTable. The top is available in barrel, oval and rectangular shapes of different sizes and finishes for a wide selection of styles. The top edge, in the veneered wood version (oak and American walnut) is available with a unique inverted section (ENT edge) in a range of various finishes. The construction of the structure also allows the creation of customized tops. 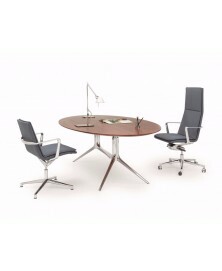 The Notable desk focal point is its base which was conceived as the union of several main elements, but separated from each other to provide the product’s character. 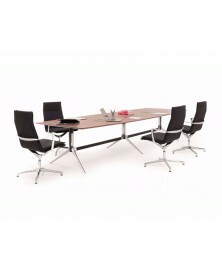 The combination of the various elements has harmonious and pleasant result and is ideal for any kind of space. The finishes are of the highest quality standard and are available in the finest materials, such as wood, aluminum, chromed or painted, HPL, MDF and different metals and plastics in a wide range of colors for a completely different effect, from elegant to sophisticated to practical and solid.